We are always happy to see examples of how TUIOFX is utilised. Chegini Mohammad from TU Graz send us a very nice video encompanying their paper “Interaction Concepts for Collaborative Visual Analysis of Scatterplots on Large Vertically-Mounted High-Resolution Multi-Touch Displays” . 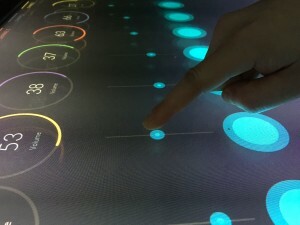 TUIOFX is used here on a 84 Inch 4K eyevis multi-touch surface to enable collaborative visual analytics. In the video you can see how applying our Task-Based Focus concept enables smooth collaboration among the two users. Their paper presented at FMT 2017 can be found here. Last week we presented a full paper on TUIOFX at EICS 2017 – The 9th ACM SIGCHI Symposium on Engineering Interactive Computing Systems in Lisbon, Portugal. The paper, which provides more details on the engineering and implementation of TUIOFX can be downloaded in the ACM Digital Library following this link. 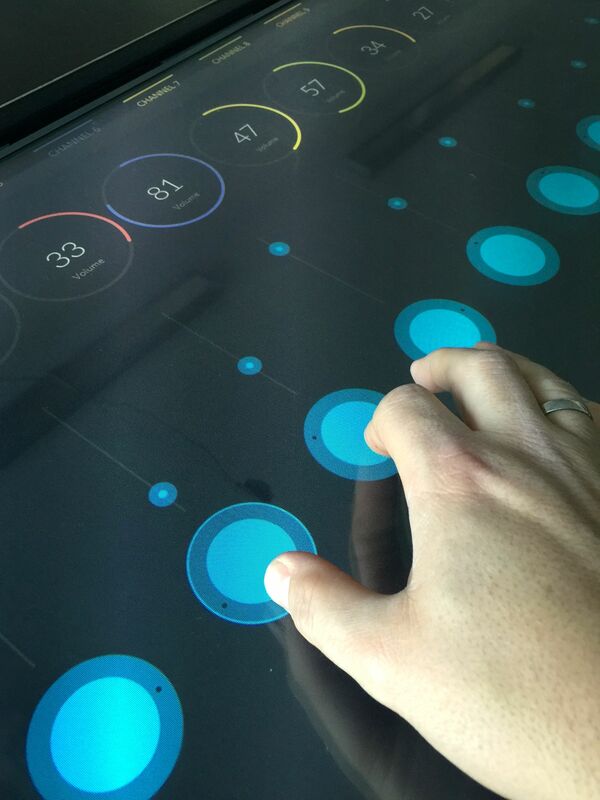 Fetter, M., Bimamisa, D. and Gross, T. TUIOFX – A JavaFX Toolkit for Shared Interactive Surfaces. Proceedings of the ACM on Human-Computer Interaction 1, 1 (June 2017). pp. 9:1-9:18. (ISSN: 2573-0142). We started publicly releasing TUIOFX binaries via GitHub. A jar of the current version 0.10.4 is available for download on our GitHub page, together with some instructions on how to get started. We are happy to receive your feedback! We are presenting a poster on some of the novel and unique concepts behind TUIOFX at the leading HCI conference, the CHI 2016 Conference on Human Factors in Computing Systems in San Jose, USA. 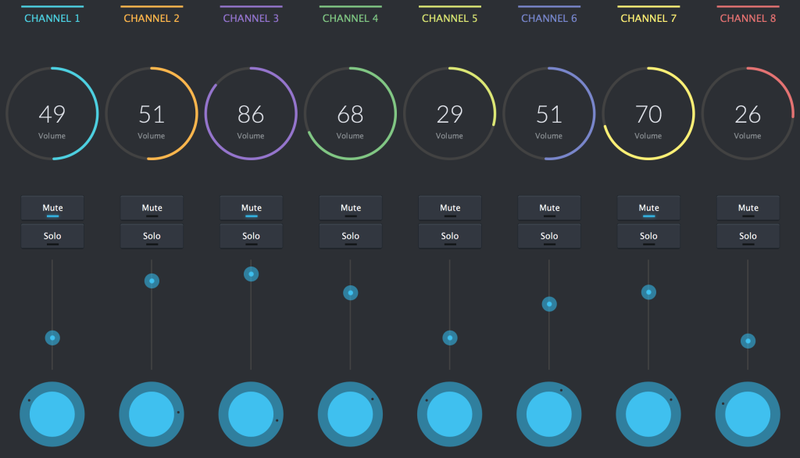 Inspired by the nice look of the gauges in Gerrit Grunwald’s blog post Harmonic Code: Building a simple Dashboard using Medusa I felt like trying out how his Medusa gauges library would look like on a Shared Interactive Surface with TUIOFX. I started from the example in the blog, but quickly added some interactive elements in form of some sliders, to control the gauges. The design of the gauges SlimSkin and the TUIOFX-Widget styling work together quite nicely. To go a little further, I put together a quick UI mockup for a mixing console. In order to have some sort of knobs as control, I remembered a blog post by Jasper Potts, where he developed a knob skin for the Slider control. While — due to some API changes in JDK 8—his code did not work out of the box, it greatly helped me to quickly come up with an own Knob control implementing custom Skin and Behaviour. In order to easily share documents to an Interactive Surface we implemented an AirPrint PDF Printer in pure Java. It uses the JmDNS library to announce a PDF-capable AirPrint-Printer to iOS- and OS X-devices in the local network via Apple’s Bonjour zeroconf-service. When a device discovers the printer and starts a print job, the incoming requests are handled by a HttpServer. The server processes the incoming IPP (Internet Printing Protocol) requests and accepts incoming print jobs. The document in the response body is passed to Apache PDFBox in form of a byte, gets loaded into a PDDocument, and (the first page) is rendered into a BufferedImage. The document is displayed in form of an ImageView — with TUIOFX it is easily zoomable, rotatable and movable on our TUIO-enabled multi-touch table. 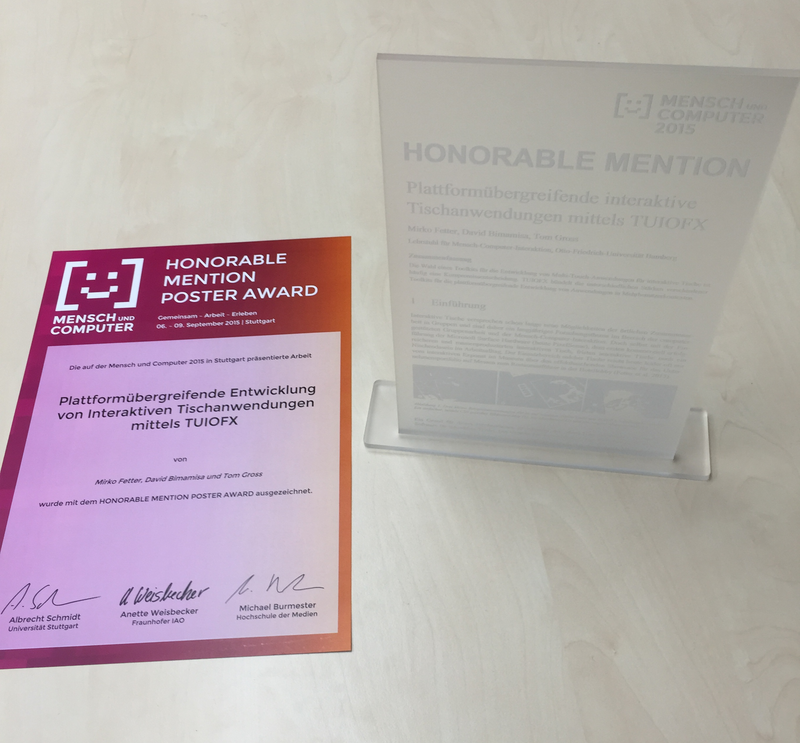 We are very happy that our poster on TUIOFX for the German HCI conference Mensch & Computer 2015 was awarded with a Honorable Mention Poster Award at the conference. We are happy to give a demo of TUIOFX at the INTERACT 2015 in Bamberg, Germany in September and a few days before to present a poster at the German HCI conference Mensch und Computer 2015 in Stuttgart, Germany. This is the first post on the TUIOFX blog. The aim of this blog is to document the state of TUIOFX, to give insights in the current development, to demonstrate TUIOFX features in examples, and to give hints on potential bugs and peculiarities.